Following are frequently asked questions about our annual giving initiative for the University. Where can I designate my unrestricted gifts to Augustana University? The Augustana Annual Fund is the University's comprehensive annual giving initiative that supports current operations. Donors may designate their gifts to areas of emphasis with which they have strong affinity: scholarships, campus priorities, the performing and visual arts, athletics, campus ministry, academic programs, the library and Center for Western Studies. Why is unrestricted giving important? Annual unrestricted giving is one of the University’s top fund-raising priorities and plays a critical role in enhancing the quality of education at Augustana. Consider making your first gift each year to the Augustana Annual Fund where gifts can be used immediately where and when they are needed most. Gifts to the Annual Fund allow the University increased flexibility in providing the highest quality liberal arts education to our students. It would take $20 million in additional endowment to match the yearly income of the Augustana Annual Fund. The true champions of Augustana are those connected alumni and friends who support Augustana in both spirit and in action. Thank you for being a champion! Why does Augustana need to raise more funds? Augustana has been the beneficiary of great generosity by alumni, parents and friends. However, Augustana’s mission to provide an education of enduring worth that challenges the intellect, fosters integrity and integrates faith with learning and service in a diverse world cannot be achieved through tuition dollars alone. For this reason, Augustana must rely on alumni, parents and friends for support to meet challenges and take advantage of future opportunities. What are Augustana’s most critical priorities? For many of our students, accessing financial aid and merit scholarships is a pivotal moment in their decision to attend and remain at Augustana. In fact, 100 percent of Augustana undergraduate students receive merit, talent or need-based scholarships and financial aid. When all student aid awards are considered, Augustana provides millions of dollars every year for student financial aid. The Augustana Annual Fund helps us keep those tuition aid awards competitive. The bottom line? Gifts to the Annual Fund make it possible for students to achieve an AU education. Help us educate tomorrow’s leaders and change-makers by giving today. A gift to the Annual Fund ensures the priorities of the University are continually met to allow our students to enjoy the best experience both academically and through student life.Your gift enables Augustana to maintain and enhance ongoing improvements to the campus — which improve life for current students and makes Augustana attractive to prospective students. Why is participation so important? Regardless of size, every gift is important and MAKES A DIFFERENCE to current and future Vikings. Your gift is a statement of support for the mission of Augustana and the continued financial health of the University. Each gift enhances the Augustana experience and supports our mission. How do matching gifts work? How can I make a gift to the Augustana Annual Fund? No matter your preference, there are options for everyone to make or pledge a gift to the Augustana Fund. 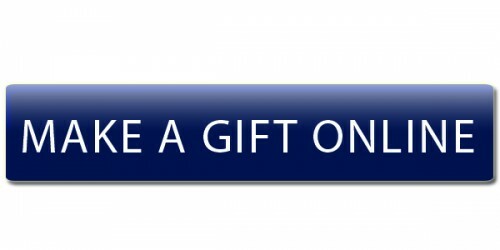 To provide an online gift, click the icon or visit augielink.com/gift. We accept payments from Visa, Master Card, Discover and American Express. In the memo line of your check indicate "Augustana Fund"
Call 800.727.2844 or 605.274.5521 to provide a pledge or gift through credit card. Payments can be allocated on a monthly, quarterly, biannual or yearly basis. Gifts can also be made via automated bank draft, via wire transfer, and via stocks and real properties. Thrivent Choice Dollars are also an easy way to give to something important to you. As a Thrivent benefit member, you can direct your Choice Dollars to Augustana. For more information about how to give, contact your local Thrivent Financial representative, call 1.800.847.4836 or visit thrivent.com/thriventchoice. Whom may I contact for more information about the Augustana Annual Fund? If you have any questions regarding your gift, please contact 605.274.4117 or gifts@augie.edu.